Cool Off at the Pool! This is a compilation of some of the public pools in the Waukesha County area, including Milwaukee County and Jefferson County. Which pool is your family’s favorite? We hope you have fun and cool off in these water attractions this summer! *Please visit individual websites for costs and hours. P.S. If beaches are more your thing, check out our Lake Country Beaches Guide! Open June 2 through August 19th, 2018. Open June 2nd through August 18th, 2018. Opens June 9 for 2018 season through August 24, 2018. Opens June 8 for 2018 season through August 31, 2018. 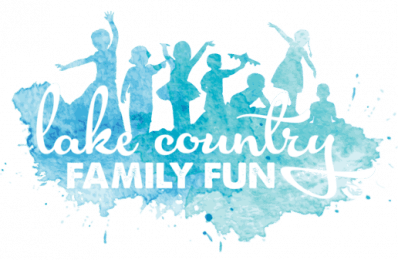 Enjoy a fun-filled day at Cool Waters Family Aquatic Park in Milwaukee County’s own Greenfield Park. The zero-depth, heated pool has giant tube and body waterslides, children’s waterslides, interactive water toys, sand volleyball courts, a children’s playground, Cool’s Cafe and more. Take the family and spend the entire day at Cool Waters, the place to be this summer! Opens May 26, 2018 for weekends only! Saturday and Sunday 10:00 am to 6:00 pm. Weekday hours begin June 11, 2018 through September 3. Speed down the tube and body waterslides, then float along the Lazy River. The water is heated, so come on in! Your littlest swimmers will enjoy the interactive water toys including spray jets, spray posts, water troughs, The Bucket Dump and more. Opens May 26, 2018 for weekends only! Saturday and Sunday 12:00 pm to 6:00 pm. Weekday hours begin June 11, 2018. This municipal pool offers a fun-filled day of refreshing activities for the whole family! Swimmers can take advantage of the many features such as the large zero depth area. This area enables swimmers to enjoy the heated water in a variety of depths from 0′ to 5½ feet in the main pool. Other features include a 12′ Mushroom Waterfall, several floor fountains, and even waterslides for the younger set! Enjoy a wild ride down our 216 foot waterslide and take a plunge on our 24 foot dropslide. There is also a one-meter diving board, 25 meter lap lanes and an area for water basketball. Please note this pool only accepts cash, no debit or credit card. Open June 8th for the 2017 summer through August 19, 2018. This is a campground, but the water park is available with a wristband daily. Day use is $5.00 per person Mon – Thursday and $15.00 per person Fri, Sat & Sun. There is also a pond with Wibets and a sandy beach included with the daily wristband purchase. Are you a pool or beach person? 💦 We got both at @river_bend_rv today! Come check out this brand new pool, which just opened July of 2016. Please note they accept cash only. They do have an ATM on site. Open May 26, 2018 – June 10 for pre-season swim. Monday – Friday 4:00 – 7:30 pm; Saturday and Sunday 12:00 – 6:00 pm. Open June 11, 2018 – August 19 for regular season swim. Monday – Friday 1:00 pm to 8:00 pm; Saturday and Sunday 12:00 – 6:00 pm. Open August 20 – August 31, 2018 for post season swim. Monday – Friday 12:00 pm to 3:30 pm; Saturday and Sunday 12:00 – 6:00 pm. The TOSA Pool at Hoyt Park is an award-winning outdoor community pool that provides summertime fun for all ages. With affordable memberships for families and individuals and daily admission options, the pool welcomes visitors from across Southeast Wisconsin. Opens May 26, 2018 through September 3, 2018. The splash pad combines the sensations of water movements and interactive play elements in a safe “zero-depth” water play area. There is no need for lifeguards and virtually no drowning risk. The play area is constructed on a concrete slab with various water features that spray water in different patterns and directions, cooling off the visitors on those hot summer days. Open Saturday, May 26th for 2018 season through Labor Day weekend. Tell us your favorite pool or splash pad in the comments below!! Did we miss your favorite outdoor pool or splash pad? 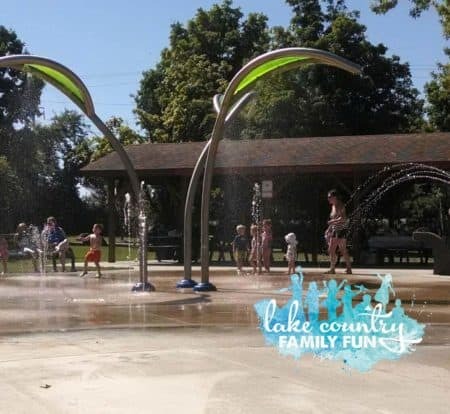 Click the contact form to have your pool or splash pad added.